Start the countdown – only 5 DAYS left in the Shudder Blog Tour! Where did the time go?? Next up, check out a fantastic set of tour highlights on the topic of “POV Perfection” over at Library of a Book Witch. And of course, you can enter the awesome grand finale giveaway at any of these stops! Thanks so much to Tracey, Jennifer, and Cindi for hosting!! OUCH. Those are actual comments from the handful of bad reviews that Stitch has received, and I’ve got to tell you, as much as I try not to let them, those words still sting. The fact of the matter is that bad reviews are an inescapable part of being a writer. Ask any author, and they will gladly tell you that you need a thick skin to write (or, at least, to share your writing with people who have access to the internet!). Even the best/most successful books ever written have their fair share of 1-star reviews: To Kill a Mockingbird? 88. The Great Gatsby? 104. Harry Potter? 95. Twilight? A whopping 738. 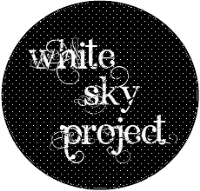 Head to White Sky Project today for the rest! Big thanks to Leah for hosting me! !